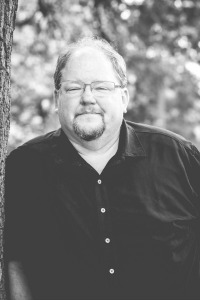 Meet T.J. Akers, author of The Final Paladin: Key of Apollyon. The thousand-year-old Frankish knight, and trainer of Paladins, Sir Godfrey, cannot pass-on until he has completed his last quest: return the Key of Apollyon to its rightful owner. A mess he created long ago trying to stop Charlemagne from using the artifact in a fit of rage on innocent by-standers. The relic is powerful and dangerous, especially should it fall into the wrong hands. A list of hands for which there is no shortage. Worse yet, the key drives Paladins insane when it stays in their care for too long. Enter Peg Bowman, or Vermillion, as she was named at birth. When Peg finds her older brother, Archie, slain in an alley, she is set upon by both mortal and supernatural assailants. Godfrey appears from nowhere to aid her and she soon she finds herself up to her eyeballs in chivalric duty and family guilt. Since Archie was the last rightful heir and protector of the key, it falls to her to marry and have children to raise another protector. Something Peg wants no part in. Then she discovers that there is another way. Peg reluctantly takes up the mantle and is going to end the mess, or die trying. How did you get the idea for your book? I originally wanted to write a fantasy about boy a boy of noble birth living in 8th century Europe, but when I considered entering it in the Genesis Contest, I changed my mind. The Judges are not the friendliest when it comes to speculative fiction and the majority of them are women. So I altered the story accordingly. The main protagonist is female and I start the book in 1870 New York. What’s the main theme or lesson of your story? Life isn’t always going to be neat, tidy, and the way you want it to be. You have to adjust and make friends/allies along the way. Does your book have a unique setting? Why did you choose to write Young Adult fiction? IYou have to capture readers while they’re young in order to make them lifetime readers. Whether it’s Middle Grade or Young Adult, that’s where you have to find them. I love young readers, for the simple reason that they don’t pretend to like books or stories. They either like the story or don’t, it’s in college where readers learn to pretend to like books in order to fit in with everyone. If a young reader loves and enjoys my story, I have been successful and done my job. T.J. Akers is going to be a multi-millionaire when he grows up and then give his wealth away to his favorite causes: churches, schools, and animal shelters. The millions have been a little slow in coming, so in the meantime he works at a state university as a computer technician, volunteers at church, and supports his local animal shelter whenever possible. He also indulges his love of writing stories to entertain people, especially younger readers. He has a grown son and lives with his wife, two cats, and a dog in Minnesota. The dog is an excellent walking and writing companion, but the cats have proven to be rather critical. 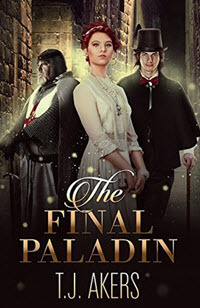 He has two novels, The Final Paladin and Dusty’s Adventures: The Beginning. Join my Reading Crew and be the first to read new books in the Mardan's Mark series. You will be added to my newsletter list, but naturally, you may unsubscribe. Success! Shortly, you will receive a confirmation email. The owner of this website, Kathrese McKee, is a participant in the Amazon Services LLC Associates Program, an affiliate advertising program designed to provide a means for sites to earn advertising fees by advertising and linking www.kathresemckee.com to Amazon properties including, but not limited to, amazon.com.